The Chrome polish you’ve been waiting for from Nails inc.
Don’t miss out on free delivery with code EASYCHROME. 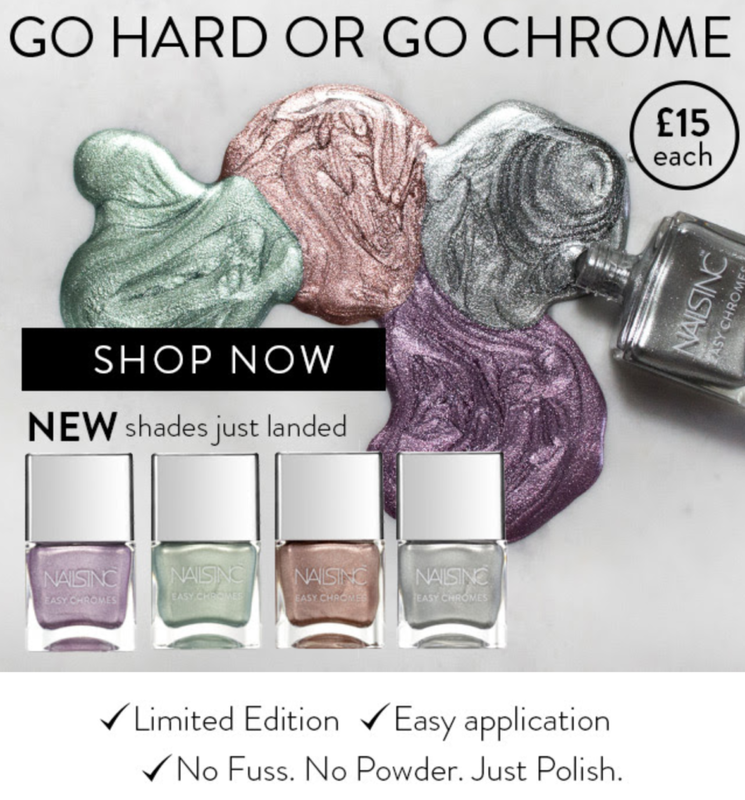 Go hard or go chrome, new shades just landed with easy application, no fuss and no poweder. Nails Inc. – Let The Sale Begin!